DEARBORN — The SME Education Foundation and the Michigan Manufacturers Association will make manufacturing education available to students at Fraser High School in cooperation with Macomb County businesses, SME officials announced. Dominion Technologies Group, I.F. 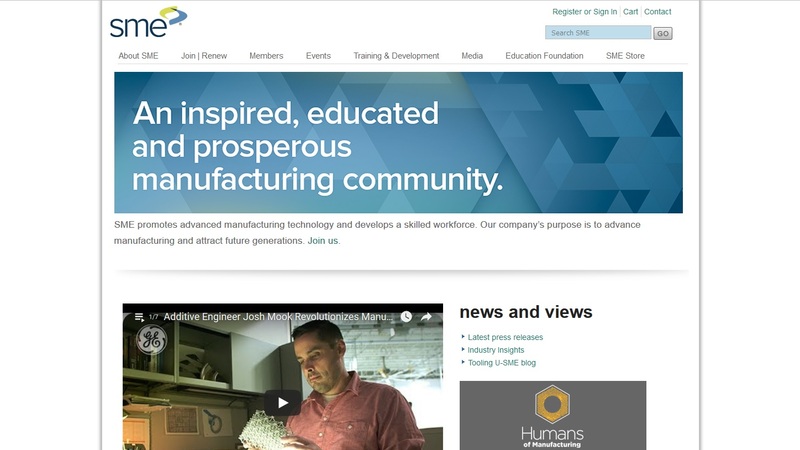 Metalworks, Fori Automation, General Motors, Oakley Industries and Superior Heat Treat LLC will collaborate through SME’s Partnership Response In Manufacturing Education (PRIME) initiative to develop and launch an advanced manufacturing education program at Fraser beginning in the 2018-19 academic year. Also engaged in the effort is the Community Foundation of Southeast Michigan, as well as state and local officials. PRIME builds a collaborative network of students, educators and industry professionals to provide high school students with advanced manufacturing career pathways, inspiring and informing their interest and awareness in manufacturing. The national program provides students with practical experience, knowledge and skills using state-of-the-art technology and equipment, while allowing companies to support the career direction of youth through mentoring, internships and job shadowing. Alliances with local manufacturing associations play a major role in connecting business and education within the manufacturing community. The Fraser Public Schools collaboration is a result of the SME Education Foundation’s partnership with the Michigan Manufacturers Association, which began in 2016 to help boost Michigan’s already strong manufacturing presence and provide much-needed support to an industry seeking a large influx of prepared, qualified young people. More at http://smeeducationfoundation.org and http://mimfg.org.